More markets means more makings. I can’t really say “it’s that time again”, coz for me it’s always “that time”. Making, beading, sewing. Implementing my ideas. Or at least trying to. I have many items just sitting, waiting to be finished or beads I have bagged up with some idea in mind. (To make sure I don’t forget I started doing a rough drawing with comments and tucked it into the bag. Whether I actually used it is beside the point). 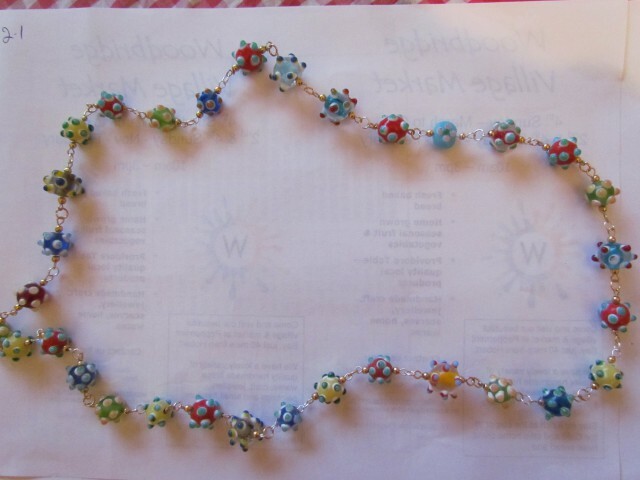 One of these was some beautiful link beads with words on them handmade from a friend elsewhere in Australia that I had for ages, with a whole collection of Swarovski beads. I don’t really know what I was going to do with them, just that they went together, and that’s how it was to be. It has changed a couple of times since I started it 2 nights ago, and I am nearly finished. But the worst part is to come. Adding the section that goes round your neck and making sure the front piece sits properly, not twisted or out of shape. Not always an easy feat. This one will be a semi choker length. This is it, hanging around waiting. 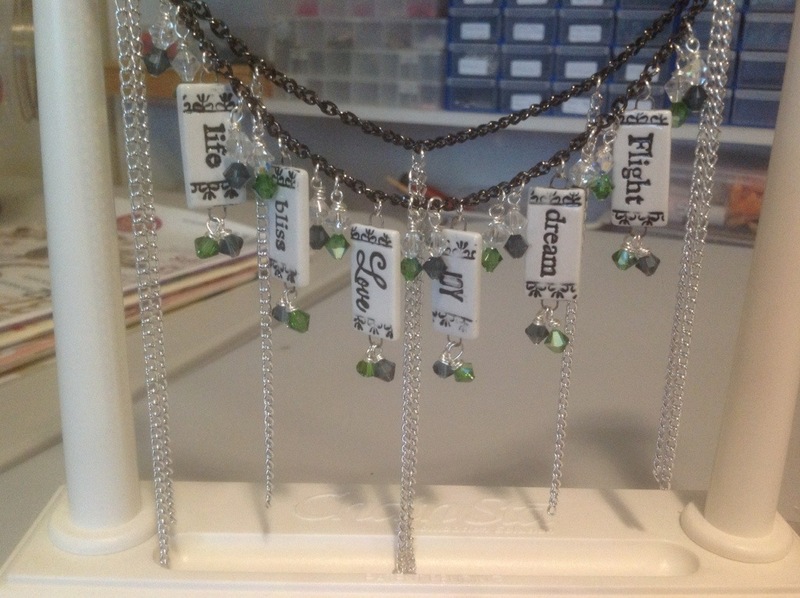 I love the blue and green and the dark chain that matches well with the black writing on the beads. I have so many necklaces they are coming out my ears… no, that would be earrings, aah whatever. Too many and yet I still want to make more. 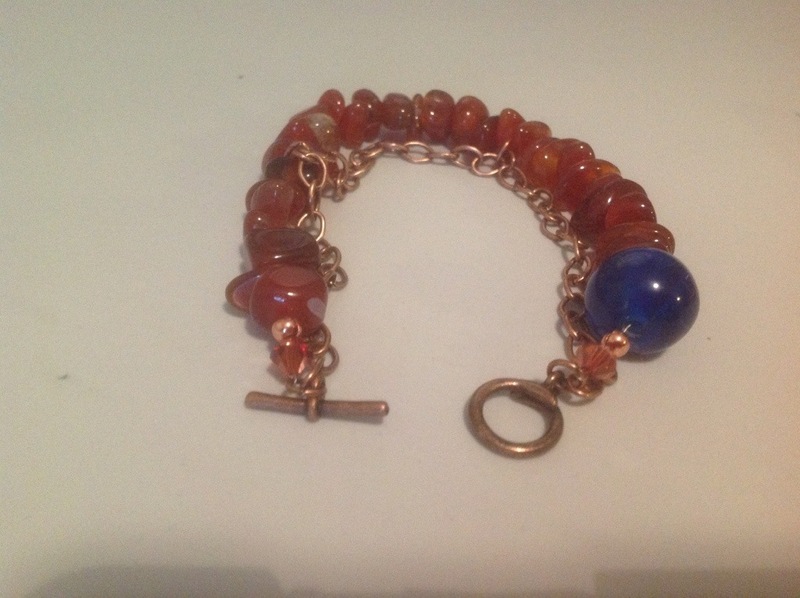 For my markets I had noted that I need more bracelets and rings, but no, I started an asymmetrical one with copper and the contrast of blue. It really pops! Oops. 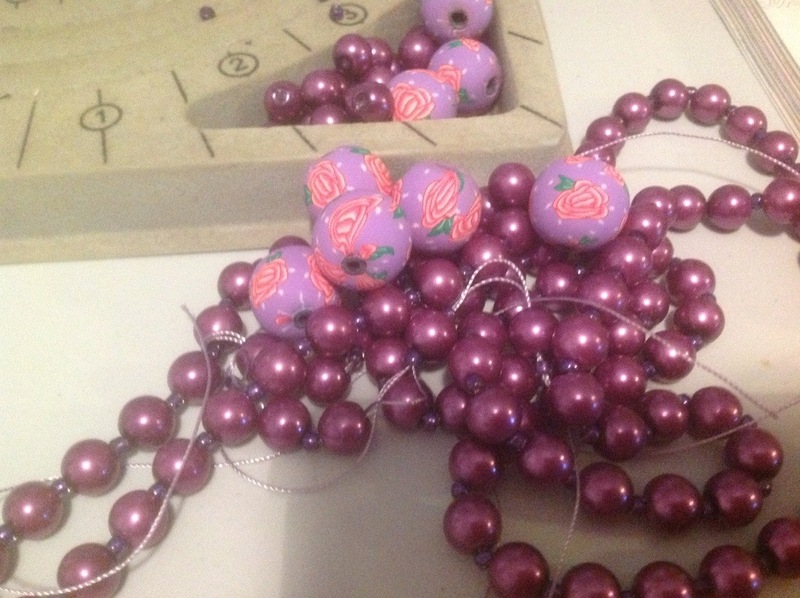 My next bracelet will be polymer beads with faux pearls in a double strand and there might be beads left over to make a necklace and ring as well. 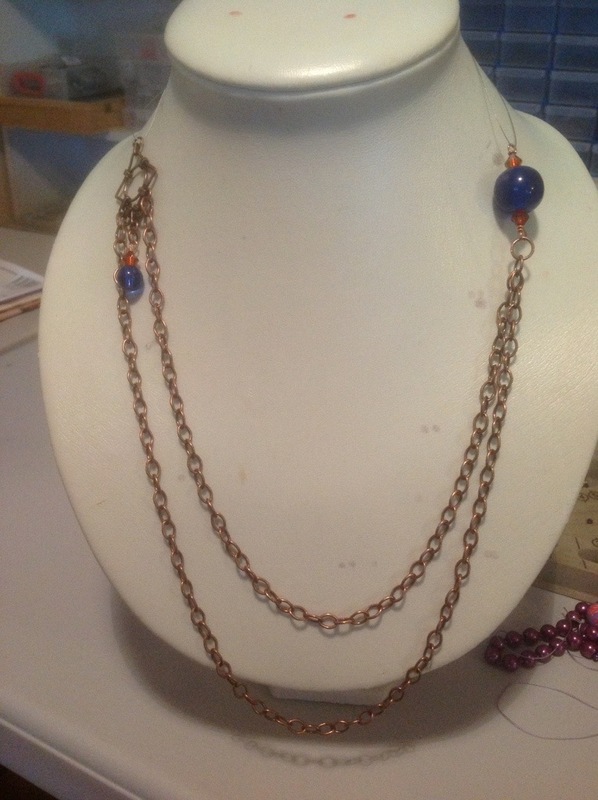 This entry was posted in Beading, Craft Shows & Markets and tagged Asymmetrical, Beads, carnelian, chain, chunky bracelets, copper, links, markets, necklaces, pearls and polymer, sayings, Swarovski. Bookmark the permalink. ← Revamped Studio – now it’s time to get back into production.